With thousands of years of civilization under its belt, the eternal city can be overwhelming for first-time visitors. But depending on how much time you can stay, our tips on the best things to do in Rome can come in handy to anyone. While even a month is not enough to see everything Italy’s capital has to offer, here we will provide you with our best suggestions to enjoy the city as much as possible and with detailed information to plan an exciting trip to Rome your own. 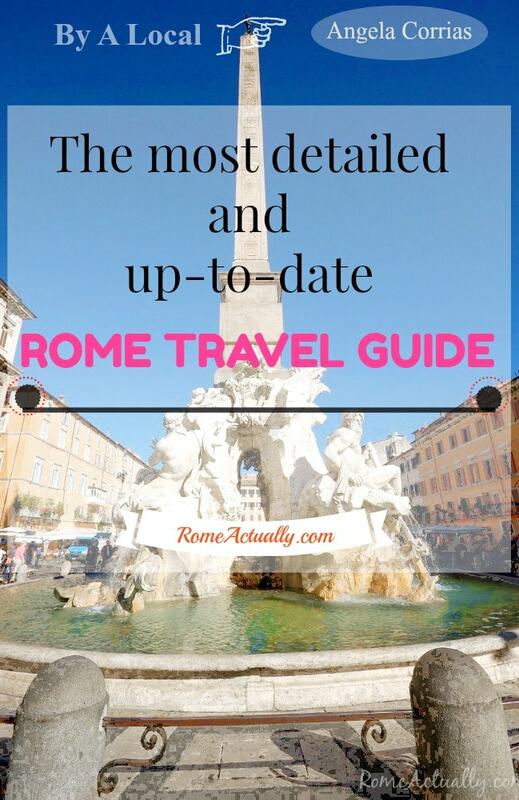 This guide will help you pick what to visit in Rome, where to eat, deal with Rome public transport, where to stay in Rome and many other tips. INSIDER’S TIP: Rome is a huge city with so much to see and do. This is why it’s always better to book a skip-the-line tour every time you can. Click here to see how to get a fast-track access to the Colosseum, tour with Colosseum Underground, the Sistine Chapel & Vatican Museums, and St. Peter’s top of the Dome. Vatican City. Any first-time traveller to Rome can’t leave out the Vatican City. Rich in history and art, this has been the capital of Christianity and papal residence for centuries. From the artwork of Saint Peter’s Basilica to the namesake piazza, from the Sistine Chapel inside the Vatican Museums to the Dome, even though it’s the world’s smallest country, you will still need meticulous planning to avoid missing on important places or queuing for hours. READ MORE: To have a better picture of things to see, visiting hours, how to book and historical information, check out our comprehensive Vatican guide. Castel Sant’Angelo. Built by Roman Emperor Hadrian in the 2nd century as his own funerary mausoleum, Castel Sant’Angelo has covered different purposes, such as a fortress, prison, and a residence. Sitting along the right bank of the Tiber in Parco Adriano, Castel Sant’Angelo is now one of Italy’s most visited museums and one of Rome’s most photographed landmarks. It’s a must visit place in Rome for its long history, amazing interiors and the stunning view of the city from the roof. You can also have a bite at the cafe inside the castle and enjoy a beautifully framed view of St. Peter’s Square and Basilica. Take your time and go around the moat which is now a public park. Castel Sant’Angelo opening hours: Daily 9 am-7.30 pm. Ticket office closes at 6.30 pm. Castel Sant’Angelo entrance fee: 10€ full ticket, 5€ for EU citizens from 18 to 25 years old, free for EU citizens less than 18 years old. Best time to visit: In the mornings, but like many other places, evenings have their own charm, too. This place is very romantic if you are with your special one. Photography: Allowed with no extra charge. How to get to Castel Sant’Angelo: 15-20 minutes walk from Lepanto metro station, line A (red). Colosseum. Arguably the most popular and photographed landmark in Rome, the Colosseum (or Coliseum) is one of the first places to see if you are travelling to the eternal city for the first time. Also known as Amphitheatrum Flavium, the Coliseum was built by Emperor Vespasian between 70 and 80 AD to host public shows, fights between gladiators, and animal hunts. An impressive remaining of Roman engineering genius, you can visit the Colosseum both with a guide or by yourself. If you want to visit the undergrounds, you need to book in advance and some parts can be entered only with a certified guide. 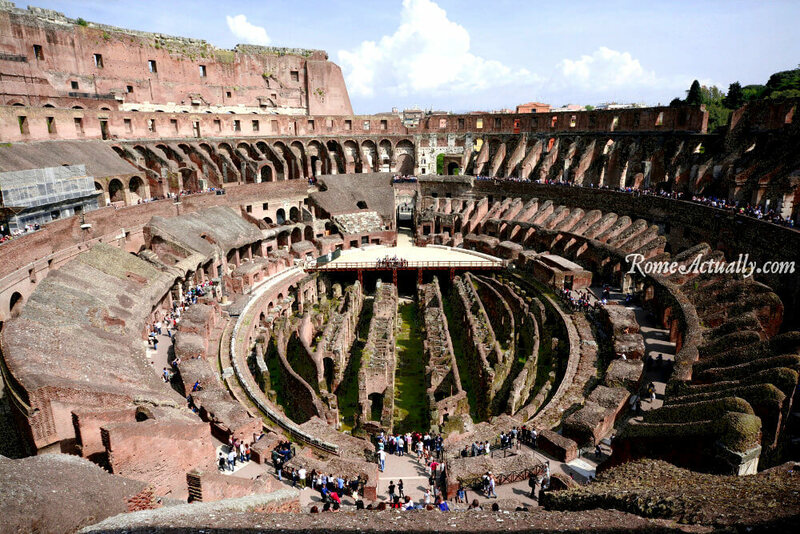 There are countless tours for the Colosseum. Our picks are Walks of Italy’s ‘VIP Colosseum Underground Tour with Roman Forum & Palatine Hill’, the fascinating Walks of Italy’s ‘Colosseum at Night Tour with Underground & Arena Floor’ and the wonderful Caesar’s Palace Tour with Casa di Augusto, Casa di Livia & Colosseum that will give you exclusive access to the house of Rome’s first Emperor Caesar Augustus, nephew of Julius Caesar, and his wife Livia, previously open only to archaeologists and academics. READ MORE: Delve deep into the history of the Amphitheatrum Flavium reading our own experience visiting the Colosseum. Colosseum opening hours: 8.30 am- 5 pm, in summer until 7 pm, on October 6.30 pm. Open every day except December. For safety reasons, no more than 3,000 people can enter the Colosseum, so if you want to skip the long queue, you can book the ticket online. Best time to visit the Colosseum: It’s always super crowded and if you don’t want to wait in the lines, be there at 8 am. Crowds are bigger in summer. Colosseum admission fee: 12€, it lasts two days and is valid for both the Colosseum and the nearby Roman Forum and Palatine Hill. Free admission on the last Sunday of the month. How to get to the Colosseum: Metro line B (blue), Colosseo station, buses 64, 30, 46, 62, 70, 81, 87, 628, 40, 492, 916, 117, or tram 8 in Piazza Venezia. 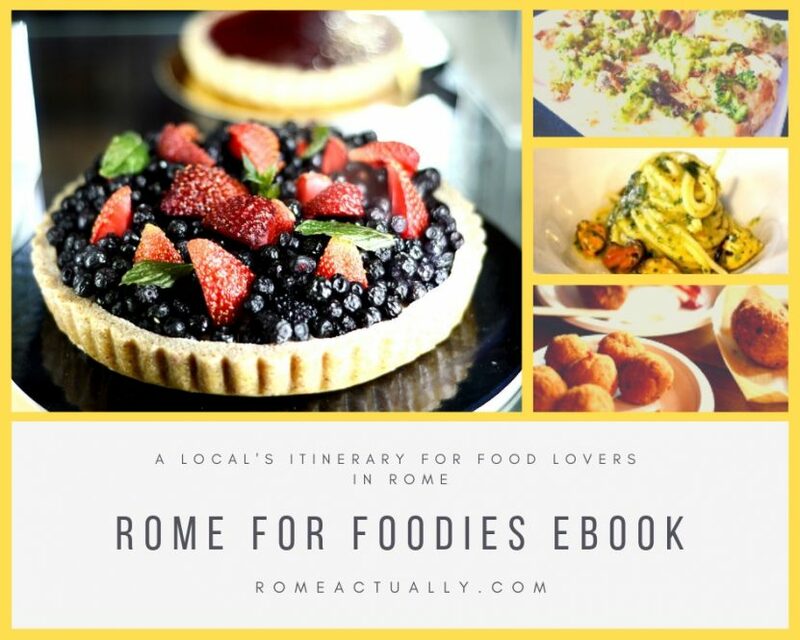 BONUS: Click here to find out 6 must-try restaurants in Rome! Roman Forum. Pulsing heart of ancient Rome, the Roman Forum is a display of monuments built by the first kings from the 6th century BC to around 500 AD. Located in a valley between the Palatine and the Capitoline Hills, this was the place for the city’s market, public speeches, court trials, trade, and commerce. Alongside a beautiful view of the city center and the Circus Maximus, you can also admire ancient temples such as the Temple of Vesta and the Senate. To skip the line and get a more in-depth description of the place, a tour is recommended. If you are going without a guide, you can get an audio guide at the entrance. Keep in mind that you might spend more than two hours in the Forum, so apply some sun protection and wear comfortable shoes. Roman Forum opening hours: 8.30 am- 5 pm. Open every day except December 25th (summer until 7 pm, on October 6.30 pm). Best time to visit the Roman Forum: In the morning, especially if it’s summer, as it can get very hot. Roman Forum admission fee: 12€, lasts two days and is valid for both the Roman Forum and the Colosseum. Free admission on the last Sunday of the month. Address: Via Della Salaria Vecchia. How to get to the Roman Forum: Metro line B (blue), Colosseo station, or buses 64, 30, 46, 62, 70, 81, 87, 628, 40, 492, 916, 117, tram 8 in Piazza Venezia. Baths of Caracalla. If at the Roman Forum you experience the ceremonial life of ancient Rome, in the Baths of Caracalla you will walk through the knack of Romans for spas and beauty salons. Entirely covered with marble mosaics and decorated with frescoes, statues, and gardens, these astonishing baths were built between 212 and 217 AD and comprised of all the areas needed to best enjoy the spa and fitness experience. Usually, the spa program started with a gym session before entering the thermal baths. Here, the first step was the tepidarium, a large room with warm water where they would stay for an hour to apply oils on their body. When done with the oils, they entered the calidarium, smaller rooms with hot water, and from here they went to the laconicum, very hot and dry room. The final step was the frigidarium, a pool of cold water to swim before leaving the wellness center. In Rome, the spa concept went beyond the cure of the body, and after the frigidarium, they would change and enjoy the other areas in the baths complex, such as libraries or social events. Baths of Caracalla opening hours: Daily 9 am-4.30 pm (in summer until 7 pm), except January 1st, May 1st, and December 25th. Baths of Caracalla admission fee: 6€. Address: Viale delle Terme di Caracalla 52. How to get to the Baths of Caracalla: From Circo Massimo station (metro line B) it’s either 10 minutes walk or 5 minutes ride with bus 160. From Colosseo station is some 10 minutes with bus 118. Other buses that get close are 628, 671, 714, 717, 792. Pantheon. A former temple devoted to all gods, the Pantheon was originally commissioned by Marcus Agrippa in 27 BC. Now a Catholic church hosting the graves of some members of former Italian royal family Savoia and famous Renaissance painter Raffaello Sanzio, it’s absolutely one of the most precious places to visit in Rome. After almost 2000 years the dome, famous for its “oculus”, hole meant to connect men with their gods and to let the daylight in, is still one of the biggest in the world. One of the few buildings from the Greco-Roman time that has remained substantially intact. Pantheon opening hours: Daily 9 am-7.30 pm (Sunday until 6 pm); public holidays until 1 pm. Closed 1st January, 1st May and 25th December. Visits are not allowed during the holy mass (holidays 10.30 am, Saturday 5 pm). Pantheon address: Piazza della Rotonda. Pantheon dress code: Modest as it’s now a church. Best time to visit the Pantheon: Early morning. How to get to the Pantheon: On foot from nearby Corso Rinascimento (buses 70, 81, 87, 492, 628) o Largo di Torre Argentina (buses 30, 40, 46, 62, 64, 70, 81, 87, 492, 628, 130F, 190F). Piazza Navona. Close to the Pantheon, Piazza Navona is one of the beautiful piazzas of Rome. This is a very touristy spot and a must-do in Rome for first-time visitors. Among the architectural masterpieces, in the heart of Piazza Navona, the stunning 17th-century Fountain of Four Rivers by Gianlorenzo Bernini is located right in front of the Baroque-style Sant’Agnese in Agone church designed by famous architects Borromini and Rainaldi father and son. At the southern end of the square stands the Fontana del Moro with a basin and four Tritons sculpted by Giacomo Della Porta in the 16th century. Here, in the 17th century, upon request of Pope Innocenzo X Pamphilj (or better, his sister-in-law, the powerful Olimpia Maidalchini), the imposing statue of a Moor was added to the center of the fountain, designed by Bernini and sculpted by his pupil Giovanni Antonio Mari. At the northern end is the Fountain of Neptune built in the 16th century by Giacomo Della Porta and the statue of Neptune, by Antonio Della Bitta was added in the 19th century to create a balance with La Fontana del Moro. Large open space surrounded by beautiful historical buildings, pricey shops, cafes, and restaurants, Piazza Navona is a must if you are traveling to Rome for the first time. Get a coffee or a gelato and sit by the fountains in the sun during the day or in evening. Street artists, musicians, comedians, dancers and portrait painters complete the tourist scene. Best time to visit Piazza Navona: It’s always packed with tourists but thanks to the big open space around it, you can visit any time of the day. How to get to Piazza Navona: Closest metro stations are Spagna along line A (red), or Colosseo on line B (blue), and they are both more than 30 minutes away, so your best option is the bus. Buses that get close to Piazza Navona are n. 30, 70, 81, 87, 130F, 492, 628 stopping in Corso Rinascimento, or 46, 62, 64, 916, stopping in Corso Vittorio Emanuele. 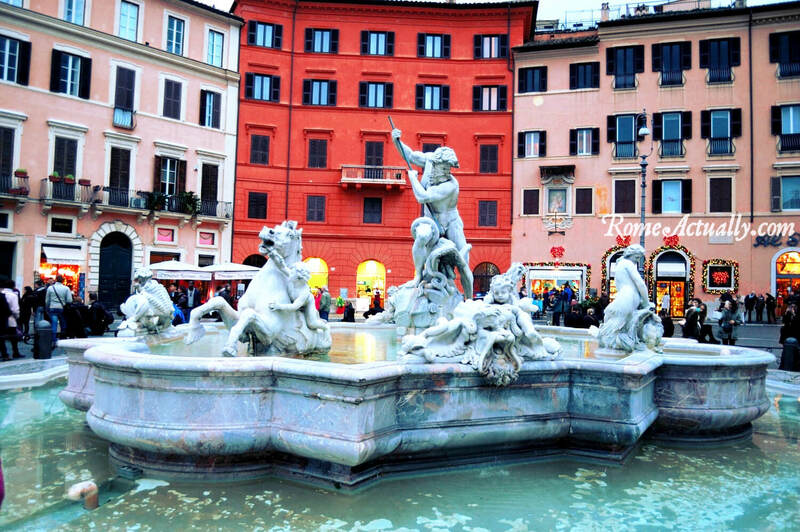 Piazza Navona is the perfect spot for a relaxing afternoon and gelato. Piazza di Spagna (Spanish Steps). Located at the bottom of the famous 18th-century Spanish Steps, Piazza di Spagna is to be included on your bucket list of top Rome attractions. Its heart was made precious by the inclusion of the famous Fontana della Barcaccia by sculptor and architect Gian Lorenzo Bernini. Today it’s a favourite hangout place for locals and tourists who like to sit there and spend their evening chatting and enjoying a gelato. Facing Piazza di Spagna is Via dei Condotti, exclusive and very expensive shopping street that displays names of the likes of Dolce & Gabbana, Valentino, Armani, Gucci and Prada among others. Best time to visit Piazza di Spagna: Early morning for a quiet visit, all day to soak in the crowd. How to get to Piazza di Spagna: Metro Line A (Red) Spagna station. Trevi Fountain. One the things to see in Rome for first-timers, the stunning Baroque-style Trevi Fountain was started with a project by architect Nicola Salvi in 1732 and completed in 1762 when the statue of Oceanus, god of the water, was positioned in the middle. After the recent restoration and cleaning work, now Fontana di Trevi is back to its original splendor. After your visit, don’t forget to throw a coin into its waters to make sure you come back to the eternal city. Best time to visit the Trevi Fountain: Early morning for a view without the crowd. How to get to Trevi Fountain: Any bus stopping at Piazza Venezia or Via del Corso, n. 40, 64, 62, 63, 170, 87, 81, 628. Metro line A (red), Barberini station, less than 10 minutes walk. Trastevere quarter. 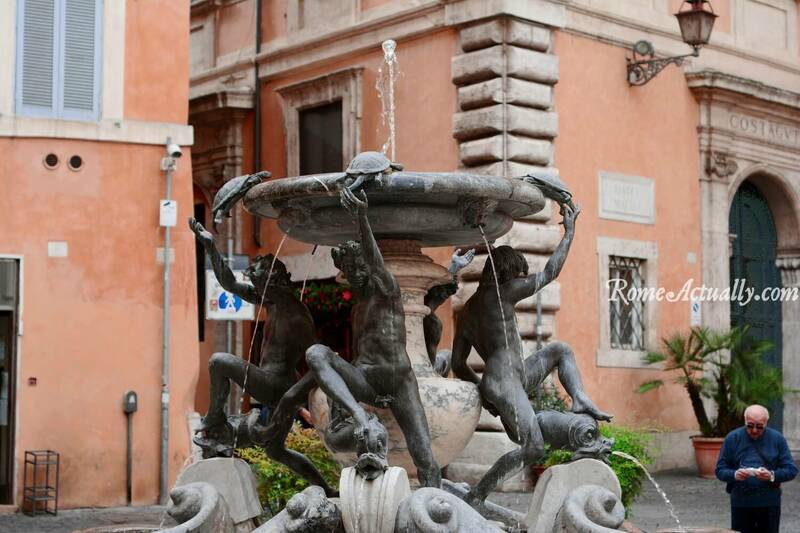 Trastevere neighbourhood is a must-see in Rome that is really hard to miss. Be it for Raphael’s frescoes at Villa Farnesina or a dinner with friends, here you can admire the gentrified buildings Rome’s former working class. Campo de’ Fiori. Located south of Piazza Navona, Campo de’ Fiori is a tourist destination of Rome where all the restaurants around the giant statue of Giordano Bruno put their tables out and serve the customers al fresco. You will find young couples and families with kids spending their morning or evening in the square. The piazza is huge and a no driving zone with a good choice of restaurants, bars, and shops. Address: Piazza Campo de’ Fiori. Best time to visit Campo de’ Fiori: Any time of the day is a good time, depending on what you are looking for. Every morning they set up an open market, while in the evening it’s a hang-out place for youngsters and diners. How to get to Campo de’ Fiori: From the Vatican, it’s about 10-15 minutes bus ride. Bus 64, 62, 46, 916, stop Corso Vittorio Emanuele/Navona. Santa Maria Maggiore Basilica. A magnificent 5th-century Catholic church and one of the four Basilicas in Rome, Santa Maria Maggiore displays wonderful mosaics and never fails to hit the list of the top Rome tourist attractions. Underneath Santa Maria Maggiore church traces from pre-Christian history are preserved for us to visit. It used to be open only for students tours but that now everyone can visit and see everything that existed before the construction of the Basilica as nothing went destroyed during the building works of the new basilica. The bell tower of Santa Maria Maggiore Basilica rises almost 200 feet and is the tallest in Rome. Admission fee for Santa Maria Maggiore: Free for the church, 13€ for the museum, lodge of the blessings and underground archaeological section. Opening hours for Santa Maria Maggiore: 7 am-6.45 pm, in August open only in the morning. Best time to visit Santa Maria Maggiore: Early morning and evening. How to get to Santa Maria Maggiore: Metro line B (blue) get off at Termini station; metro line A (red) get off at Vittorio Emanuele station. From both stations, it’s a short walk. READ MORE: See our post to discover the most beautiful and least visited churches in Rome. San Clemente Basilica. Within walking distance from the Colosseum, located on Via Labicana is another beautiful church in Rome. San Clemente Basilica is what to see in Rome if you are interested in ancient history. The floors are beautifully decorated with marble and stunning 12th-century mosaics embellish the golden ceiling. After visiting the surface go visit the underground of San Clemente basilica to explore a 4th-century Christian basilica and a 1st-century Roman house with the temple of God Mithra. Admission fee for San Clemente Basilica and Excavations: Free to enter the 12th-century basilica, 10 € for the Excavations. Children under 16 accompanied by parents enter free of charge, if not accompanied 5 € per person. Opening hours for San Clemente Basilica and Excavations: Monday-Saturday 9 am-12.30 pm and 3-6 pm. Sunday and public holidays 12.15-6 pm. Last entrance to the excavations 30 minutes before closing. Photography: Not allowed in any part of the excavations. Best time to visit San Clemente Basilica: Anytime. How to get to San Clemente Basilica: Buses 51, 85, 87 and trams 3 and 8, stop in Via Labicana. Metro line A (red) Colosseo station. Crypt of Capuchin Friars. Close to Barberini Palace, beneath Santa Maria della Concezione church, lies a small cemetery where the Capuchin friars used to bury their dead and later by creating art masterpieces with the bones of the exhumed monks. Containing, or better decorated with, the bones of almost 4,000 friars who died between 1528 and 1870, when Rome was annexed to unified Italy, the new central government outlawed the amassing of the bones for hygienic reasons. The crypt houses also the mummified bodies of some of the friars with their own garments on, and the full skeleton of princess Barberini. If you feel uncomfortable with the charm this place has on you, don’t worry, you are not alone. Even the infamous Marquis De Sade, in fact, was captivated by such a grotesque underworld. 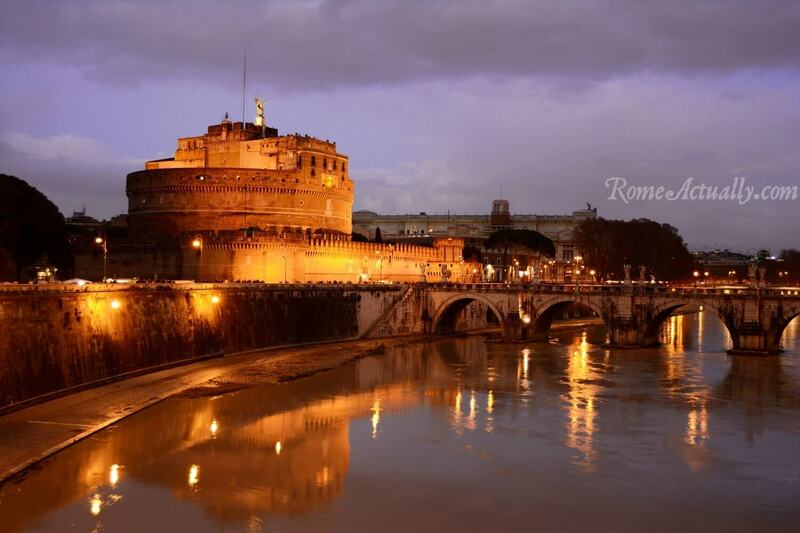 One of the places to see in Rome if you are not afraid of the dark! Address: Via Vittorio Veneto 27. Admission fee to the Capuchin Crypt: € 8.50, for under 18 and over 65 ticket is 5 €. Roma Pass is not accepted. Opening hours of Capuchin Crypt: Daily 9 am-7 pm, ticket office closes half an hour earlier. Closed Easter Sunday, December 25th and January 1st. November 2nd closes at 3 pm, December 31st closes at 2.30 pm. Best time to visit the Capuchin Crypt: Anytime. How to get to the Capuchin Crypt: Metro line A (red), Barberini station. Thanks to its mild temperatures, any season is good to plan your trip to Rome. For a pleasant weather, book your trip in spring and take part in the events organized for Easter. Summer is stifling hot and super crowded so we don’t really recommend this season, even though this is when most of you have holidays so you can hardly choose. Plan well your trip if you come in August as some shops and restaurant close for a month. Autumn is Italy’s raining season, but the weather is mild and the colors warm and perfect for a romantic trip. Winter in Rome is never too cold and if you are here for Christmas you can enjoy the festive atmosphere of colorful markets, Christmas trees, lighting, and decorations in all the streets. Rome has two airports, Fiumicino Leonardo Da Vinci, which is the main one, and Ciampino, mainly used by low-cost airlines Ryanair. Both are well connected to the city via coaches and trains. From Fiumicino international airport you can take Leonardo Express, direct train to Roma Termini station (14 €), or the regional one that stops at every local station including central Trastevere and Ostiense (8 €). The coaches connecting Rome to its two airports are from different companies, a popular one being Terravision as it’s one of the cheapest. You can buy their ticket on the plane or on their airport booths before boarding or after landing. –>> Click here to book a shuttle bus from Fiumicino Airport to Rome and vice versa, or a shuttle bus connecting to and from Ciampino Airport. If you reach by ferry from other Italian regions, mainly Sardinia, and land in Civitavecchia, the best way to get to Rome is by train, 5€ for a ride of roughly an hour and a half. For more information on local trains, you can check Trenitalia website http://www.trenitalia.com/tcom-en. Hard to find the best location to book a hotel in Rome, it all depends on what’s your trip purpose, budget needs, and transport preferences. Neighborhoods like Monti, Trastevere or Trionfale are excellent areas to easily reach all the most important sites and usually well connected through the public transport. However, being the very city center, these areas can be pretty expensive. A valid alternative can be to book your accommodation a bit far from the heart of the city: you will have to take the public transport to get to the places in your itinerary but it will be cheaper than in the central locations. Areas in northern Rome like Monte Mario, Ottavia or Ipogeo degli Ottavi are mainly residential and you need a train or a bus to get to the city center. These are perfect for travelers who are not planning to stay out late night every night as buses run until midnight and trains until around 10 pm. If you want to stay out until late, however, you can take a taxi that will cost you around 30 € from the city center. Gran Melia Rome. Fantastic location in the central and trendy Trastevere neighbourhood, 5-star Gran Melia luxury hotel features state-of-the-art amenities such as spa, outdoor swimming pool, and wellness centre fully equipped with Turkish Baths, sensory shower, beauty treatments and a hydro-massage pool. Aperitivo and restaurants facilities enjoy the exclusive background of Rome’s immortal views of the Vatican and Castel Sant’Angelo. Click here for more details on booking and current prices. Hassler Roma. One of Rome’s most renowned hotels, Hassler Roma sits at the top of the Spanish Steps and the city’s exclusive shopping street Via dei Condotti. This lavish hotel features free wellness facilities such as sauna, Turkish bath and gym, and different dining options serving Italian and international cuisine. Rooms have satellite TV, smartphone and DVD player. Click here for more information on availability and current prices at Hassler Roma hotel. Queen Palace Suites. Beautiful and located in the very city centre, two blocks from Pantheon, Queen Palace Suites boasts large rooms equipped with everything you need after a long day of sightseeing in Rome, including TV with Netflix connection and breakfast. Click here for more details on booking availability and current rates. Next Stop St. Peter. Located a few minutes from the Vatican City in a calm area, it’s a fairly new place that can accommodate up to 6 people. Helpful staff, daily breakfast, comfy beds, soundproof walls make this apartment in central Rome a great value for the money. Click here and see the latest prices and more details on offers availability about this hotel in Rome. Il Giardino del Viaggiatore. It’s an excellent guest house 20 minutes walk away from Vatican City. The property is equipped with good size beds, private bathrooms, a shared kitchen and a beautiful garden with chairs for guests to use. Very close to supermarkets around and great value for money. Click here to see more details and offers in this hotel in Rome. Nido all’Aventino. Beautiful apartment in Rome’s city center, it lies 10 minutes walk from the Coliseum and enjoys a private balcony. The apartment is composed of two separate bedrooms, a living room, a fully equipped kitchen, and a bathroom. It includes parquet floors, a flat-screen TV, and air conditioning. This place in Rome is highly recommended for two or more people. Click here to see the current prices, more details and offers on this property in Rome. A Roma Lifestyle. This is a 4-star hotel a little far from the immediate city centre but easy to reach using Rome public transport. A.Roma Lifestyle is highly recommended for those of you who want to enjoy more facilities such as pool, garden, spa, buffet breakfast, bar and a big restaurant with some ten cooking stations. Click here to see the latest prices and more details and offers on this property in Rome. La Cupola Del Vaticano. Conveniently located 100 meters from the Vatican City and close to Ottaviano metro station, this fantastic property offers great views and facilities such as private bathroom, coffee machine, air conditioning, breakfast, free WiFi. Click here to see more details and offers of this Hotel in Rome. Le Stanze Di Nico. This hotel is in the lovely Prati neighbourhood, central enough to quickly reach Rome’s most important landmarks and residential enough to have quiet nights and a great choice of shops, a great local market and good restaurants. Set in a 20th-century building with good size rooms and private bathrooms, WiFi, AC and flat-screen TV. A discount at the local restaurant is available to guests. Click here to see more details about prices and availability. Vatican Town B&B. If you want to stay in the heart of Rome, this Bed&Breakfast can be a good pick as an inexpensive Rome accommodation. Located approximately 500 meters from Piazza San Pietro, rooms are equipped with AC, private bathroom, LED TV, tea/coffee making facilities and daily breakfast served in the room. Click here to see more details and offers on this B&B in Rome. Le Scalette B&B. If you don’t mind using the public transport, you can opt for this B&B located in Via Fiamignano 6, northern Rome, close to train station Ipogeo degli Ottavi. You can take the train (towards Viterbo, Cesano, or Bracciano, make sure it stops at EVERY station) from Stazione San Pietro, Stazione Trastevere, or Valle Aurelia, where is also the metro station Valle Aurelia (line A). This B&B offers spacious rooms with private bathroom, free WIFI, satellite TV. Click here for more info and latest prices for Le Scalette B&B. Rome public transport comprises of a wide network of buses, trams and three metro lines. The main metro lines are A and B, and a third one, the C in perpetual work in progress, has been opened recently and will probably be fully functional in autumn 2017. You can easily download Rome metro map online, while on ATAC website, or better “Viaggia Con ATAC App” for Android and iOS, you can calculate your itinerary, see what transport you need and check buses and trams timetable. Single tickets cost €1.50 and have a 100-minute validity including one metro ride, one train ride, and bus rides until it expires. If you are staying for a while and are going to use Rome public transport every day, you can decide to buy longer-lasting tickets: the 24-hour ticket costs €7, a 48-hour ticket is €12.50, for 72 hours is €18, while for 7 days costs €24. The best Rome bus and metro tickets are the monthly ones, 35 € and you can use it day and night on every means of transportation, and the yearly one, 250 €, that gives you almost a 50% discount compared to the monthly subscription. READ MORE: Check out our guide to Rome public transport to get around easily in the city. With a 48-hour Roma Pass, you can visit one museum, use metro, buses, and trams in Rome, and get discounts for exhibitions, tourists services, and events tickets. A 48-hour Roma Pass price is 28€ and it starts from the first validation. With a 72-hour Roma Pass, you get everything the same except instead of one museum you can visit two museums and obviously it is valid for one extra day (3 days). The price for 72-hour Roma Pass is 38€ and it starts from the first validation. Known for the best tonnarelli cacio e pepe in Rome, if you are thinking about grabbing a table there, think fast. Be it its privileged location right beside the Pantheon or for its well-deserved fame, Armando al Pantheon is always packed and you need to book a couple of days earlier. Do it and you won’t regret it. Address: Salita de’ Crescenzi 31. Open Monday-Friday 12.30-3 pm and 7-11 pm, Saturday open only for lunch, Sunday closed. August closed all month. Phone: +39 06 688 03 034; http://www.armandoalpantheon.it/. A famous restaurant in Testaccio working-class district, it was established in 1936 by Felice Trivelloni and it’s still run by his family. Kick off your traditional meal with their signature dish, spaghetti or ravioli dumplings “alla Felice” with cherry tomatoes, basil, mint, oregano, thyme, marjoram and salt ricotta cheese. Address: Via Mastro Giorgio 29. Open daily 12.30-3 pm and 7-11.30 pm. Phone: +39 06 574 6800; http://www.feliceatestaccio.it. For a proper Roman meal try Checchino, they have been preparing traditional dishes since 1887, so they can hardly disappoint. Famous for their coda alla vaccinara, a distinctive dish from Roman cucina povera tradition made with beef tail, this is one of the must-try restaurants in the capital. Address: Via di Monte Testaccio 30. Open Tuesday-Saturday for lunch and dinner, Sunday for lunch. Closed in August and for a week around Christmas. Phone: +39 06 574 3816; http://www.checchino-dal-1887.com. Italian tradition served with a contemporary twist. Tickle your taste buds with their salmon tartare, cacio e pepe spaghetti, mezze maniche all’Amatriciana and a creative saltimbocca alla Romana. Open for breakfast, lunch, and dinner, Etablì serves also a wide range of afternoon coffees and teas. The weekend they organize brunch. Address: Vicolo delle Vacche 9. Open Monday-Wednesday 7 am-1 am, Thursday Saturday 7 am-2 am, Sunday 9 am-1 am. Phone: +39 06 9761 6694; http://www.etabli.it/eng/index.html. Located in working-class district Testaccio, this restaurant is great for the typical dishes of the Roman tradition prepared the old way. Try their delicious tonnarelli cacio e pepe, rigatoni alla carbonara and coda alla vaccinara. Address: Via di Monte Testaccio 97. Open daily for lunch and dinner. Phone: +39 06 5744 194; http://www.ristorantevelavevodetto.it/. This is a gem in San Lorenzo neighborhood. Chocolate factory since 1923, their dishes are made only with quality ingredients. At the entrance, a tempting chocolate shop will confuse your taste buds for a moment but carry on, you can stop here at the exit for a fill of artisan chocolate. Address: Via Tiburtina 135. Open Monday-Friday 10 am-12:30 am; Saturday 6 pm-1:30 am; Sunday closed. Phone: +39 06 4469 204; http://said.it/roma/. Relatively new to the culinary scene of Testaccio, this minimalist restaurant serves original recipes made with organic ingredients. Their daily aperitivo is delicious and very popular, as it’s their weekend brunch. Address: Via Galvani 24. Open daily 11 am-3 am. Phone: +39 06 5730 5338 or +39 320 192 5460; http://www.ketumbar.it/. Vegetarian and vegan dishes are prepared strictly using organic ingredients to promote the respect for the environment and a different food culture in the holistic way of nurturing the body and the mind with art events and live shows. It might be pricey if compared to other restaurants, but their flattering reputation is well-deserved. Address: Via Margutta 118. Open daily 12.30-3.30 pm and 7.30-11.30 pm. Phone +39 06 3265 0577; http://www.ilmargutta.bio/. Vegetarian and vegan with some raw options, Romeow Cat Bistrot welcomes its guests with original recipes, organic ingredients, delicious cakes and six cats. READ MORE: If you want to more veggie options, check out our post on the best vegetarian and vegan restaurants in Rome. Rome is a very busy city and hard to get around. If you are in a rush and still want to visit as much as you can or if you just wish to have the help of a local expert to better delve into the eternal city’s history and cultural heritage, peruse some of the most popular Rome tour packages. With so much to see, Rome walking tours are always a favorite option for travelers from all over the world. Understandably so if we think that a gem is hiding around every corner. Try Walks of Italy’s Rome tours to explore the city assisted by an expert guide. 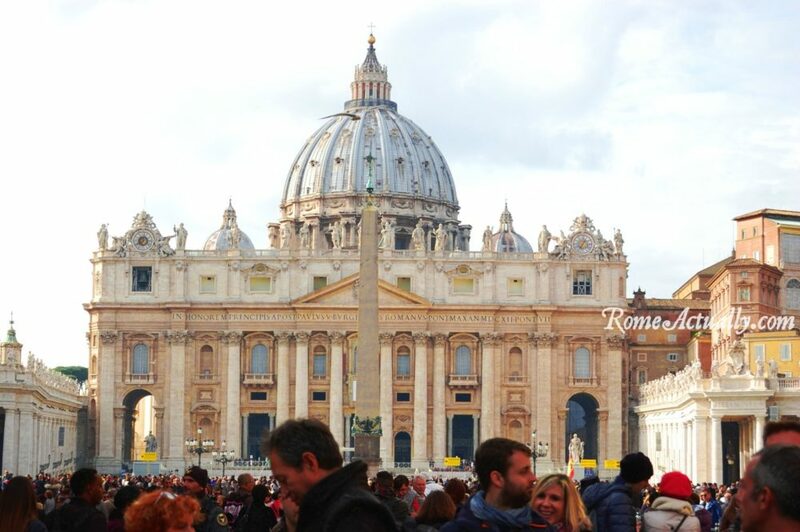 Some of our favorite tours to Rome points of interest are the fascinating Rome underground tour that takes you to mysterious places such Rome’s Catacombs and the eerie “Bone Chapel” of the Capuchin Friars, the tempting Food Tour with pizza-making stop, because eating in Rome is one of the best parts of your trip, the complete Vatican tour with skip-the-line entrance to both Museums and St. Peter’s Basilica, and obviously the complete Colosseum Underground Tour with Roman Forum and Palatine Hill to delve deep into the ancient Roman Empire.